It’s a balmy SoCal evening. It’s been a long work day. You walk into a splendid house in Venice. You are greeted by smiling faces and the smell of deliciousness permeating the air. A host offers you a glass of wine, or cocktail, you take it and take a sip… or two…or three. The day’s tension melts away. 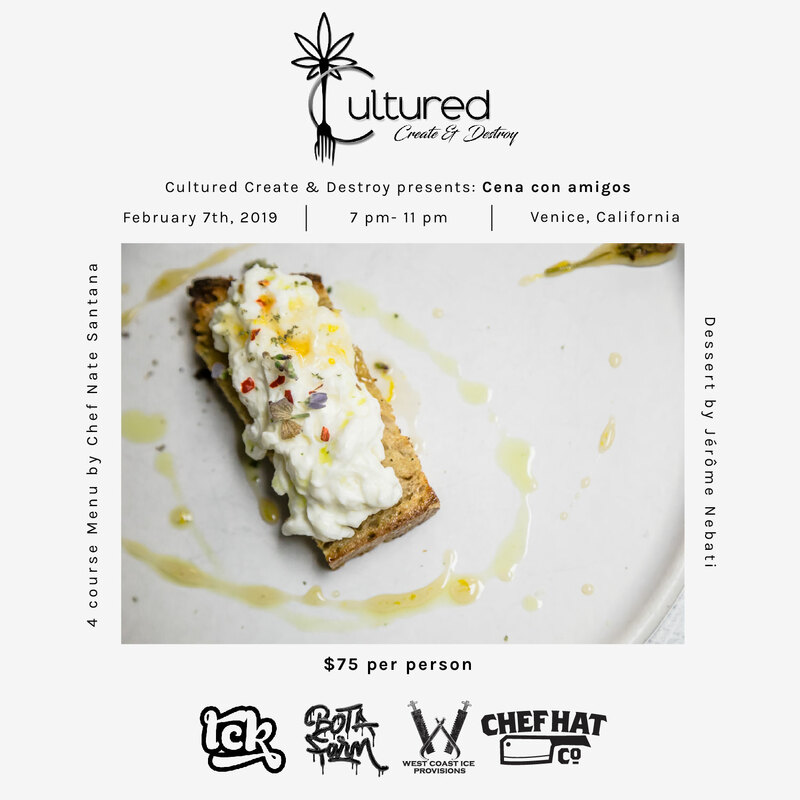 Your special evening with Cultured Create & Destroy and Botafarm Genetics awaits you…. Come mix and mingle with us and some of our closest friends for an evening of conversation, laughs, infused libations, high quality cannabis and delectable delights.